Charles”Tommy” Tomkins,’64 is proud to give back to an institution that marked an important milestone in his life. Tomkins was born and raised in Gallatin, Tennessee, where his father owned a furniture manufacturing company. 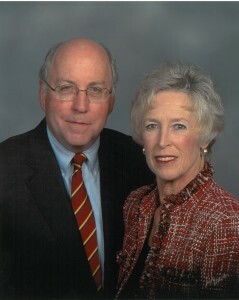 Tomkins entered the business after graduating; he served as CEO of Cresent Fine Furniture until his retirement, and now he is chairman of the board. While at NC State, Tomkins took a variety of courses in the College of Education that helped him in the early years of his professional life. As a member of Pi Kappa Alpha, Tomkins created lifelong connections to Raleigh, and after college he stayed active in the Wolfpack Club and made frequent trips to North Carolina while working in the furniture business. All these factors led Tomkins to decide to do something special for the College of Education: He has established a $100,000 endowment that will support a scholarship to the college, through a provision in his estate specifying that proceeds from an IRA will fund the scholarship.